The Country With The Most Indigenous Languages Is? It would be easy to presume that the largest countries on Earth would be the ones with the largest number of indigenous spoken languages, but you’ll find the most diverse number of languages in the modestly sized island nation of Papua New Guinea. 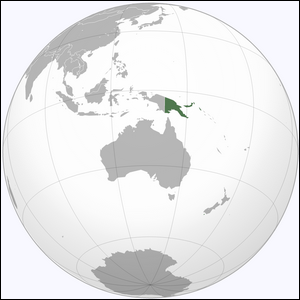 The Oceanian country, situated north of Australia, has a population of approximately seven million people, but between 820-852 indigenous languages. The rich variety of different languages found there represent a staggering 12 percent of the total number of languages spoken on Earth. The most popular of these languages, Enga, is spoken by approximately 200,000 people, but most of the languages are endangered and have less than 1,000 speakers left.